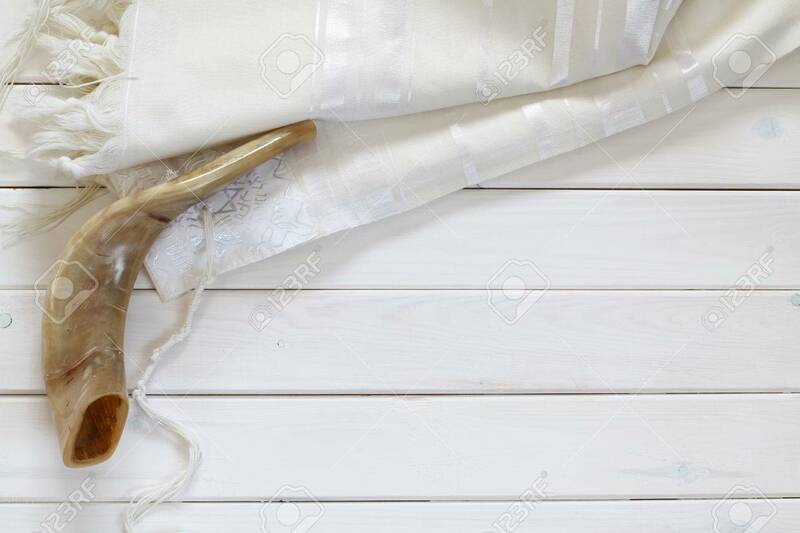 White Prayer Shawl - Tallit, And Shofar (horn). Jewish Religious.. Stock Photo, Picture And Royalty Free Image. Image 59726036.